Sri Lanka has been one of Work the World’s most popular destinations since our programme was first established there in 2010; so it’s wonderful to hear that Lonely Planet, one of the most influential travel websites and publishers in the world, has just named the country their top travel destination for 2013! We were really pleased to hear the news and definitely in agreement; we know as well as anybody what a fantastic location it is. The Work the World house for Sri Lanka is based in the beautiful city of Kandy, an active and historically significant setting in the lush green hills of the island. On top of naming Sri Lanka their Best in Travel 2013, the Lonely Planet guide highlights Kandy as one of top ten places to visit in the country, and the second best city. Our programme manager in Kandy, Nandika Nanayakkara, was full of pride on hearing the announcement, saying “it’s fantastic to hear that Sri Lanka and Kandy are getting the recognition they deserve as top destinations in Southeast Asia and the world. 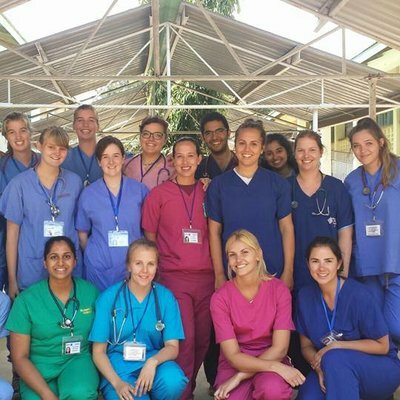 We’re incredibly proud of our programme here and hope that the Lonely Planet endorsement will help more medical students to discover the area and all its exciting potential”. In their article, Lonely Planet touch on Sri Lanka’s new found peace after years of war, and tell the story of a country that has been restored to its beautiful, welcoming and culturally diverse roots. The guide highlights the national parks, variety of wildlife, perfect white sand beaches and relaxed, friendly atmosphere at top reasons to visit the area. We think they are right on the money, and the popularity of our programme in Kandy and the great feedback we have had from past students really supports this. Some of our favourite things about Sri Lanka (which the Lonely Planet have picked up on too) are the surfing in Arugam Bay, the amazing food (what else would you expect?) and of course the annual Esala Perahera festival right in our base of Kandy. Esala Perahera is a Buddhist festival with dancing and several torch lit processions of decorated elephants. The festival takes place each summer and is always a highlight for students on their elective placements at the time. The Kandy programme has a capacity of 36 students, and as we’ve mentioned it’s one of our most popular locations – so if you’d like to spend your elective in Lonely Planet’s top destination of the year, do get in touch as early as you can!